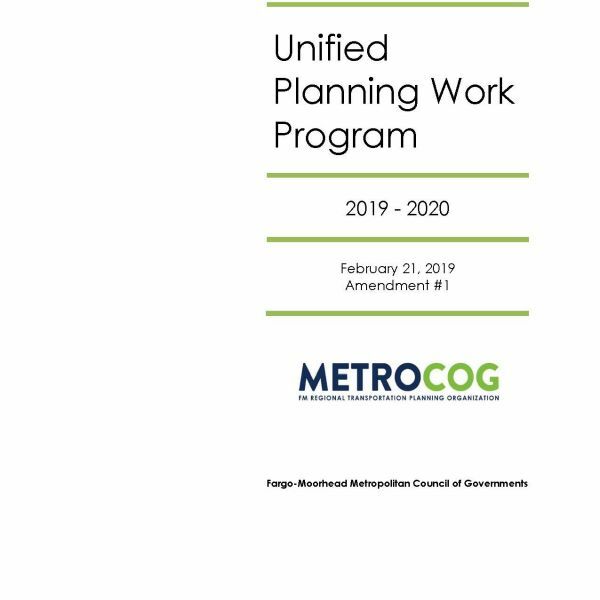 Fargo-Moorhead Metropolitan Council of Governments (Metro COG) is required to adopt and implement a Unified Planning Work Program (UPWP). The UPWP covers a 24-month period and includes details on specific work tasks, which supports the overall goals as set forward in the Long Range Transportation Plan and the current federal transportation authorization bill. The UPWP covers a range of transportation and community planning activities including data collection, public outreach, and development of programs to coordinate the expenditure of federal surface transportation funds. The development of the UPWP is done in consultation with the general public, identified interested persons, relevant stakeholders, and the Transportation Technical Committee (TTC). The UPWP is approved by the Metro COG Policy Board. Metro COG’s transportation planning process provides a forum for deciding how to improve the regional transportation system and how to allocate federal transportation funds to pay for these improvements. The decision-making process is Continuing, Comprehensive and Cooperative (3C planning process). It requires extensive coordination and cooperation with our local, state and federal planning partners, as well as other stakeholders and the general public.